Have You Ever Wanted To Have An Herb Garden? 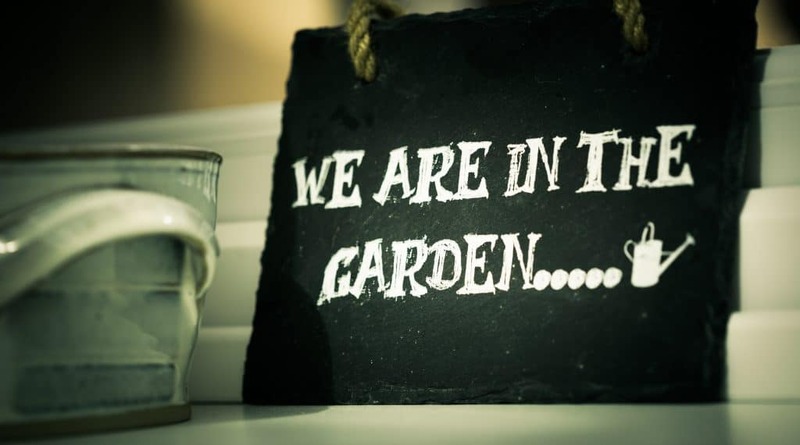 » Have You Ever Wanted To Have An Herb Garden? Why would you ever want to set up an herb garden? How about three reasons why? Because fresh herbs taste better. So, what could be fresher than those you pluck right off the vine or stem and throw in your pan? Because it’s really fun to watch your herbs grow and then feed them to your guests, telling them they came from your very own herb garden. You can skip herbs from your grocery list. They’ll be there fresh as can be whenever you need them (as long as you’re growing enough of them). It’s exciting to make your own basically. You’ll always have them available and there’s that much less to buy at the store. You’ll have the satisfaction of actually eating what you grow, you’re own closed loop food cycle, literally farm to table, or at least farm to kitchen ingredient list. You also get to choose what to put in it, how big it will be and where it will go, all of which are addressed here. To read all the way through, just keep reading but if you want to skip to any specific section use the Table of Contents below. What to put in your herb garden? Where do you put the thing? What if you don’t have a place to put your herb garden with enough light? The basic herbs are rosemary, thyme, parsley, mint, chives, dill, basil and maybe some others that you might prefer. For a more complete list, check out this link. Four of the primary herbs that are most common to most savory recipes are: thyme, basil, rosemary and parsley. You can even drink your herbs by including them in a “go to” morning green drink like this one here. So, take an inventory of your recipes, what you usually make or would like to make and see which herbs are most commonly featured. Here’s one that you might be able to use. You can then choose those four or five most common herbs to put in your garden. You may even choose one or two more exotic herbs that may take your recipes in a new direction. Basically, challenge yourself with new herb ingredients to make new, different and potentially more interesting recipes. You can start with the first four since those are most common to the most recipes and add others depending on what you most often make or would like to make. You need natural sunlight, or at least the same full spectrum of light that comes from the sun from a “grow-light”, for instance (see below). So for direct sunlight, if you’re in the northern hemisphere, you need a place, ideally in your kitchen, that gets direct sunlight about 6 to 8 hours each day. That will be a window facing south. You can park your little herb garden on your window sill if it’s wide enough, or somewhere nearby. You might also have a place nearby, including outside, that may also work as an herb garden. Just make sure you remember to think about how much sun the location you choose gets each day. If your spot is outside, think about how it might change during the different months of the year, will spring growth block sunlight or storms and moisture damage your garden? You can still move forward with the herb garden project, even if your kitchen is in a basement. But, you’ll need artificial grow lights. They’re sold commercially for less than $50. You can find them online at your favorite retailer or a nursery and even a large hardware store. The difference between these lights and the regular light bulbs you’d find in a store is that the grow lights provide the full spectrum of light that plants need to grow. Your typical lightbulb doesn’t have the full spectrum, so those lightbulbs won’t work. If you find that you need a grow look, you can some products that just include the light. Others are built into kits that include everything from the herbs to the lights and other essentials. If you are growing your herb garden inside, there are some things to watch out for. First of all, the air inside your house may be drier than outside. 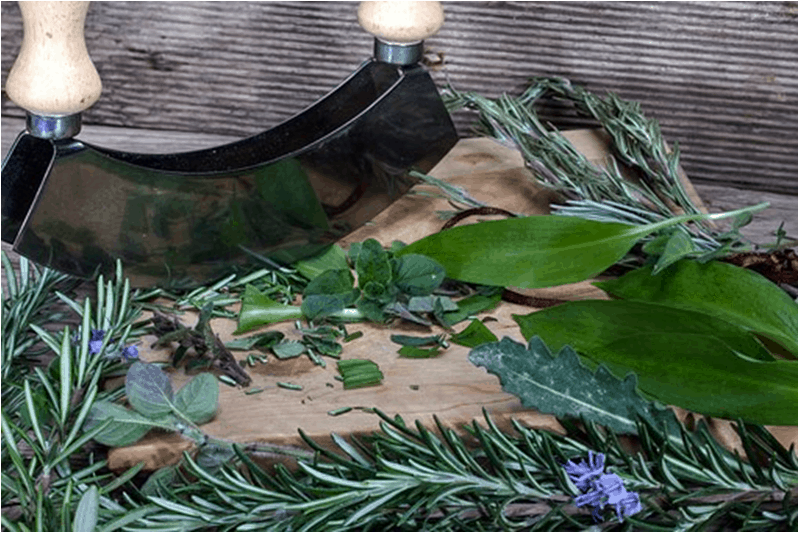 So, watch for your herbs drying out, you may want to mist your herbs with a sprayer from time to time. You also may get small insects feasting on your herbs. If you inspect them closely, you may find tiny creatures on your herbs, don’t panic! Just get some slightly soapy water into that same spray bottle. Spray all areas of the herbs with this slightly soapy water (including under any leaves where are are usually hidden) and it will get rid of any tiny creatures without hurting any of the herbs. You may also be able to find some organic bug repellents to keep the critters from your plants in the first place. There are herb garden kits, including indoor kits with lights that you can find on places like Amazon and elsewhere. For a more thorough understanding of herbs and even a few that you may not know about, check these sources here. Alternatively, you can just go to your local nursery or even super store like Home Depot to see what herbs that they have available. These stores should be able to advise you about local climate conditions and which herbs works best. They can also probably give you specific advice on which herbs work best and how to best set up your herb garden. You may choose to keep your garden simple, essentially a pot or two of your favorite few herbs near where you prep in your kitchen. Or, you may be inspired to create a small outdoor farm featuring herbs, even vegetables for a true farm to table experience. Either way, you’re going to enjoy eating what you know came from your own garden, and letting everyone know about it.